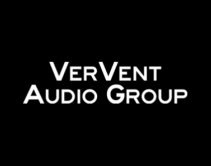 By CE Pro Editors · February 14, 2019 • Vervent Audio Group, the parent company of Focal and Naim, is looking to expand into the North American market by acquiring Audio Plus Services & Plurison and creating two new subsidiaries: Focal Naim America and Focal Naim Canada. By Robert Archer · November 29, 2016 • Uniti by Naim simplifies hi-fi audio with three all-in-one wireless music streaming platforms that can work together or independently. By Robert Archer · October 17, 2013 • Naim's new Supernait 2 integrated amplifier provides 80 watts of power, a choice of analog inputs, a headphone amplifier and a subwoofer output to set up two channel and 2.1 systems in a variety of configurations. By Robert Archer · October 19, 2011 • Naim's latest audio component incorporates everything from an 80-watt per channel Class A/B amp, to streaming network capabilities to allow homeowners to stream digital music from the Internet or from their local network via Ethernet or wirelessly. By Steve Crowe · August 19, 2011 • High-end audio brands Focal and Naim Audio have merged to create Focal & Co. The new company will own and manage Focal and Naim as independent brands. 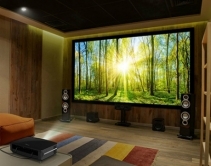 By Robert Archer · June 22, 2010 • The new application completes the company's UnitiSystem, which is an all-in-one, retrofittable wireless multiroom audio system.